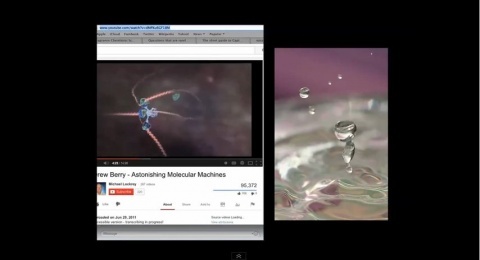 by Six Degrees Editor, tagged with collaboration, social practice, glossary, Whose Terms? Lately, in the Department of Education, we’ve been considering how various indexes, particularly the glossary form, might be used to get specific about subjects that warrant further critical attention. Case in point is the recent collective glossary-building initiative “Whose Terms? 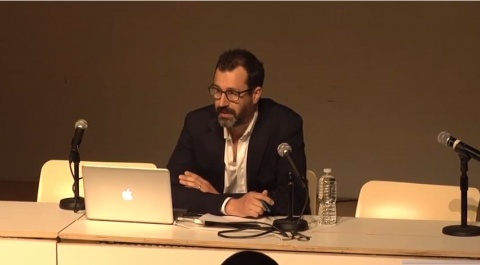 New Perspectives on Social Practice.” As a dual-platform program at the New Museum, the first round took place as a symposium on Saturday April 13; the second is an open call for short textual glossary entries (500 words or less) that will be published here on Six Degrees at a later date. Our intention is to discuss terms that can allow for both a precise focus on, as well as a point of departure from, social practice. That is, the general, non-specific nature of these terms enables idiosyncratic positions to be taken up, structuring both critical and associative engagements with practices concerned with communities outside of art. At the symposium, nine invited guests contributed to the collectively produced glossary. 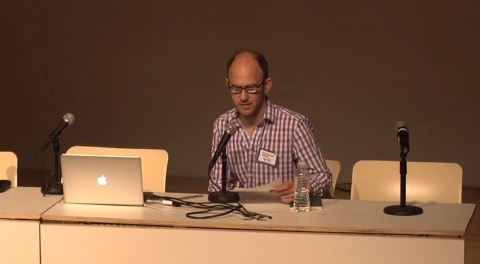 Each speaker’s presentation, which you can watch in full after the jump, is at once reflective of their own background—in art, philosophy, curating, organizing, activism, art history, and publishing—at the same time that it examines some of the strategies, assumptions, and agendas at play around socially engaged practices. Content ranged from a consideration of Fluxus and Duchampian precedents of “art of the streets” with questions around what it means to restage historical participatory events—like Alison Knowles’s 2011 (re)enactment at MoMA of her performance “The Identical Lunch,” originally conceived in 1973, around habitually consuming the same meal—to ideas about how contemporary art has tended to conflate ethics with politics, to the detriment of a rigorous discussion of the former. 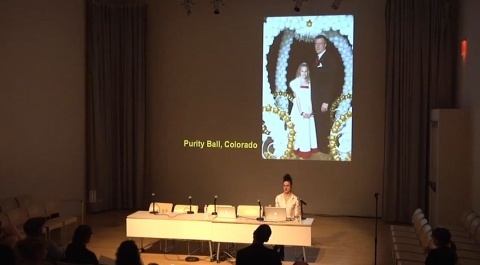 Artworks that utilized privacy and secrecy were offered as a counter to social and participatory art, raising questions of what may be foreclosed in collaborative or public modes of working. Then empathy was put to the test within the Theater as the symposium’s audience members were asked to turn to their neighbor and share what was weighing on their minds, before empathy’s naturalized optimism and relation to sympathy was brought into question. These perspectives and others presented at the symposium around the terms MATERIAL, CRITICALITY, ETHICS, CAPITAL, EMPATHY, PRIVACY, PERFORMANCE, and REAL, are the first entries in a collection that will soon include further texts submitted by Six Degrees readers. In light of the content being addressed—with its particular attention to social interactions, forms and practices of political representation, and the distribution of power—we felt it important that this glossary be collectively generated, rather than being authored by one person or by the institution. We are experimenting with ways we can use Six Degrees as an editorial platform that can allow New Museum readers and visitors to participate on multiple levels. 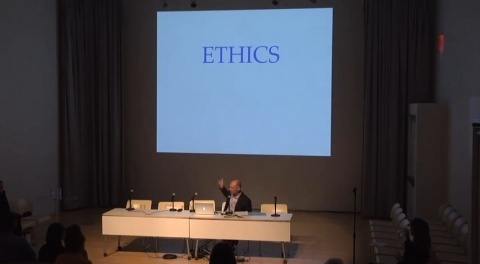 Also, instead of it taking a coherent tone like, for example, Stephen Wright’s Toward A Lexicon for Usership (recently produced as part of the exhibition “The Museum of Arte Útil,” [2013–14] at the Van Abbemuseum by Tania Bruguera), here we aim to bring together a wide range of perspectives from individuals who are engaged with ideas about social practice, including, importantly, those working in areas that have other kinds of emphases altogether like environmental policies, Western philosophical thought, or the canons of art history. Contributors across both platforms (the symposium and online) have been invited to plumb and critique a single term’s meaning with respect to its operations in social practice, and that’s how we have come to this title. 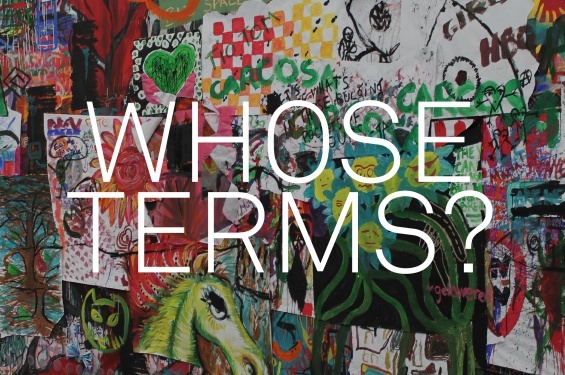 “Whose Terms” suggests the numerous authorial positions within this particular glossary and also raises the underlying question of who determines the conditions and agendas for socially engaged art. These entries then aren’t merely a collection of specialized words with associated definitions, nor are they in the tradition of Raymond Williams’s Keywords, intended to be entries that reflect on the cultural and societal shifts in meaning of specific words over time. Instead, contributors are taking up general terms, developing ideas alongside of social practice that are specific, idiosyncratic, and positional. The call for textual glossary entries remains open through this Thursday April 24. Please join the growing collection of voices parsing the subject of socially engaged practices by submitting a glossary entry. If you have any thoughts or questions, you can always reach the editors at sixdegrees@newmuseum.org. 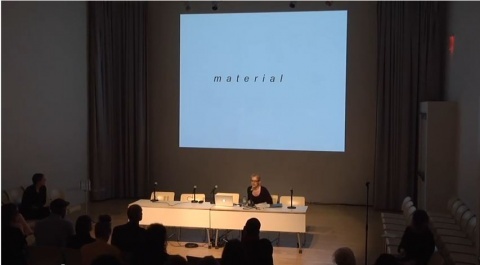 Laurel Ptak’s presentation is not available online on account of being prepared exclusively with a live audience in mind. 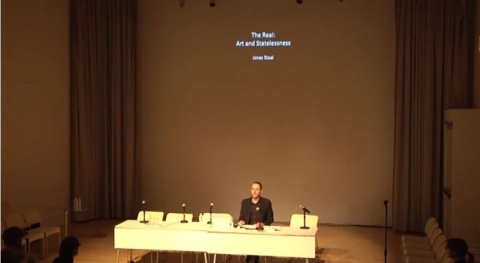 Ptak examined how the institutionalization of social services into the field of art has occurred simultaneously to austerity measures and withdrawal of public services worldwide. From a personal perspective, she considered how and why everyday forms of social support within working class communities—things like informal barter networks and communal food production—are now often subsumed under the rubrics of activism or social practice.